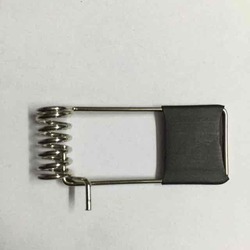 Our product range includes a wide range of downlight springs with plastic moulding, downlight spring with hard sleeve, down light spring, springs for slim down light, down light springs and springs for small downlight. 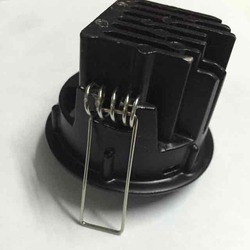 We are engrossed in providing a quality examined array of Downlight Springs with Plastic Moulding that are highly demanded in several industries. Under the guidance of diligent professionals, the offered springs are manufactured with the use of exceptional quality raw materials and contemporary techniques. 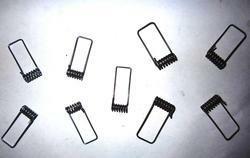 As per the needs of the clients these springs are offered in bulk at most economic costs. We JH Industries are the manufacture a wide range of Down Light Springs that are manufactured using qualitative material sourced from reliable vendors.Under the guidance of diligent professionals, the offered springs are manufactured with the use of exceptional quality raw materials and contemporary techniques. 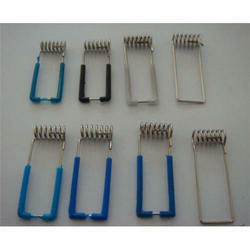 As per the needs of the clients these springs are offered in bulk at most economic costs. We are a renowned firm in presenting a widespread array of Springs For Slim Down light to the admired customers. These products are developed employing handpicked quality raw material keeping in mind the global quality norms and standards. Employees work on urbane machines and advanced technology to provide optimal gratifications. Furthermore to this, presented products are extremely sturdy and has even surface. We are engrossed in providing a quality examined array of Down light Spring that are highly demanded in several industries. Under the guidance of diligent professionals, the offered springs are manufactured with the use of exceptional quality raw materials and contemporary techniques. As per the needs of the clients these springs are offered in bulk at most economic costs. We JH Industries are the manufacture a wide range of Springs For Small Downlight that are manufactured using qualitative material sourced from reliable vendors.Under the guidance of diligent professionals, the offered springs are manufactured with the use of exceptional quality raw materials and contemporary techniques. 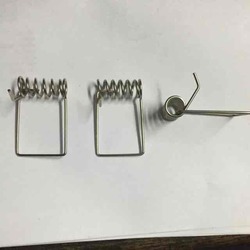 As per the needs of the clients these springs are offered in bulk at most economic costs.